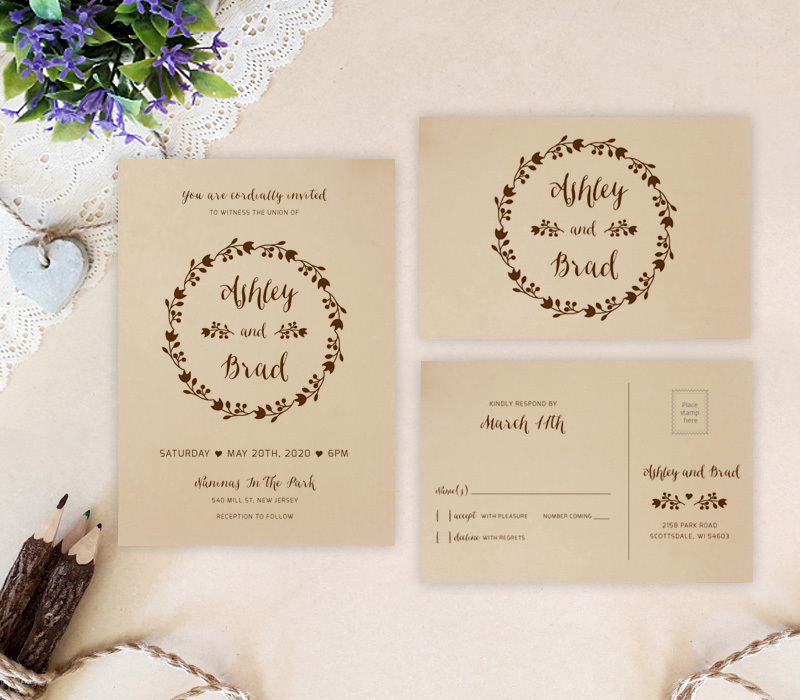 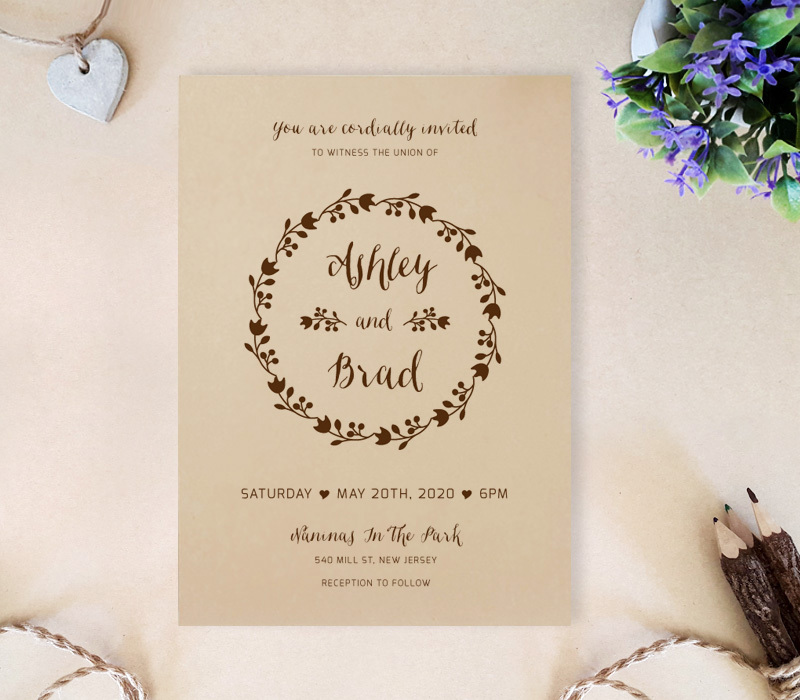 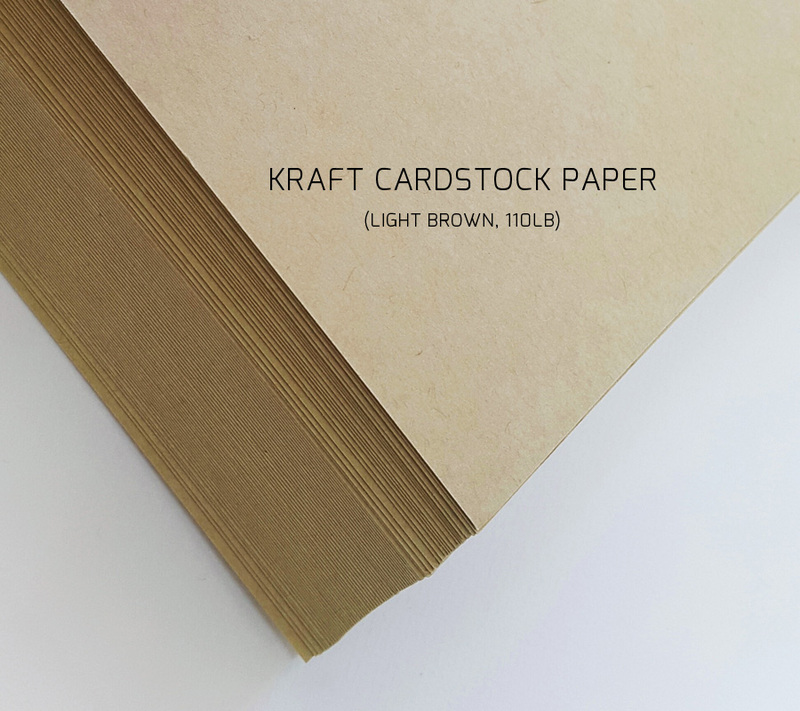 The wedding of your dreams will be happening soon, so let your close friends and family know they're officially invited with our Kraft Paper Wedding Invitations. Our invites are decorated with a detailed brown wreath that will showcase the bride and groom's name. 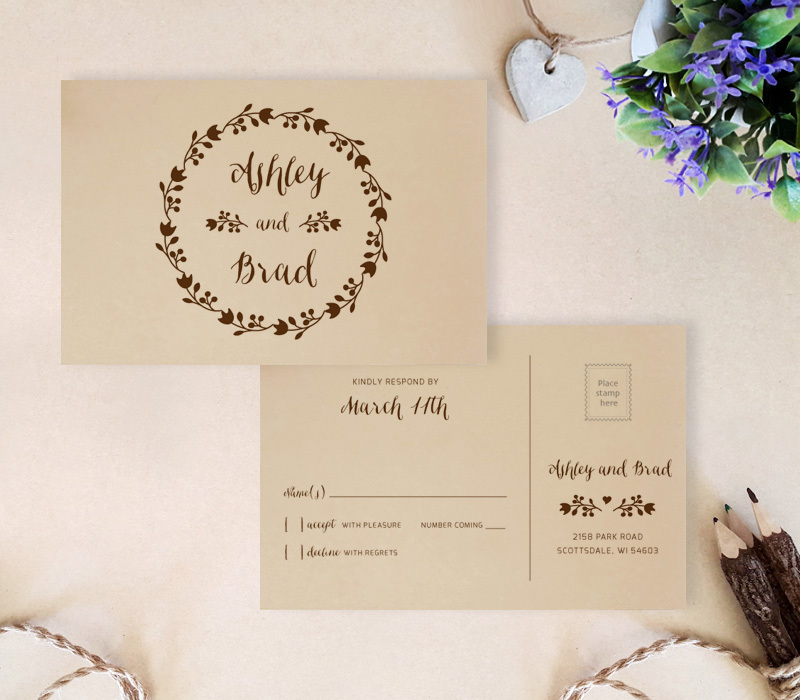 Printed on premium brown paper, these invites are the perfect complement to a rustic outdoor wedding.